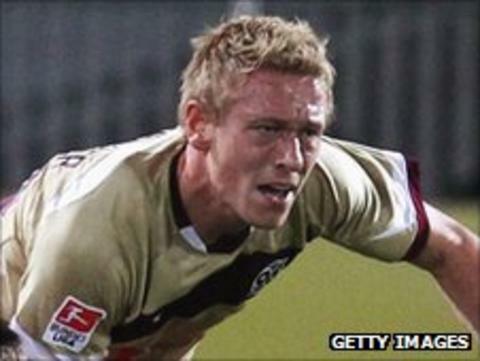 Leeds United have signed former Chelsea and Birmingham City striker Mikael Forssell until the end of the season. The 30-year-old had been playing for Hannover 96 in Germany for the last three years but was out of contract. "I've missed English football and I really wanted to come back here," the Finland international said. "To come to a club like Leeds is fantastic. I've been working hard and training over the summer." Forssell joined Chelsea from HJK Helsinki in July 1998 and made 53 appearances scoring 12 goals. Before signing for Birmingham in 2005, for £3m, he went on loan to Crystal Palace and Borussia Moenchengladbach. He also had two loan spells at St Andrew's before making his switch permanent. In total he played 118 games for Blues, scoring 37 goals before leaving for Germany in July 2008. "I played against Leeds a couple of times for Birmingham but now I'm on this side and it's fantastic," he added. "It is such an historic club, the team is good, the lads are positive, the facilities are unbelievable and the fans look brilliant."